I have no specific info about this disc. A 7" acetate still exists from the mono mix on reel TL14063. This is probably that disc. 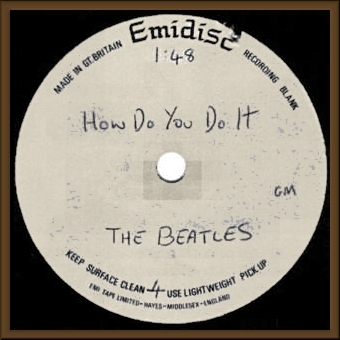 This vintage edit does not feature the useless edit heard on the final edit by Geoff Emerick for the ill-fated Sessions album and, subsequently, Anthology 1. This disc might be the source for the late 1970 - early 1980s bootleg releases of this track.